In this week’s collection of free games we’ve got two weird platformers that make you think before you jump. But first, we’ve got an epic western game that’ll keep you busy all weekend. 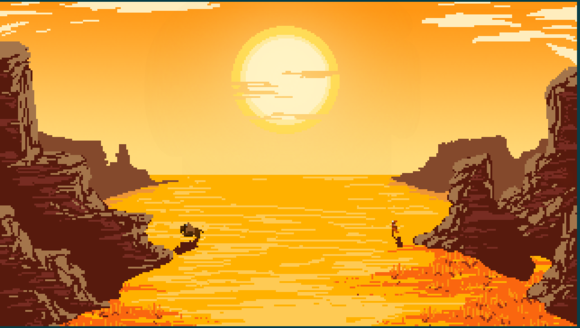 The game everybody’s talking about this week is Westerado over on Adult Swim’s website, and it’s easy to see why: the game plays like an 8-bit version of Red Dead Redemption. Your family has been murdered and you have to help the townsfolk in their struggles if you want to find clues to the killer's identity and get your revenge. I’ve only played for about an hour and I’ve already found a surprisingly deep combat system and at least two great mini-games. Dr. Vile is a Ludum Dare game I somehow missed in December. It’s best described as a combination of Minecraft and an evil mad scientist simulator as you go around town bashing people and their stuff to collect materials for your death ray. The game isn’t very long but the ending, and the game itself, are absolutely worth your time. Rhythm Doctor is basically Rhythm Heaven set in a doctor’s office. I hope that doesn’t sound dismissive, because the creators are very open about the fact that their one button rhythm game is heavily influenced by Rhythm Heaven and if there were a lot more games with its charm and weird sense of humor (which this game has in spades) the world would be a better place. 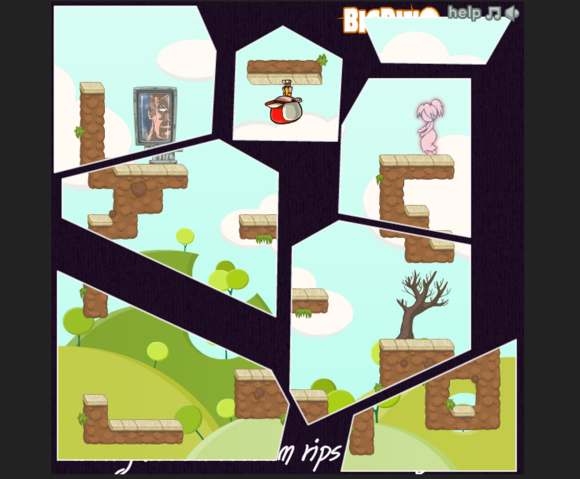 Uirdz is an experimental platformer where you manipulate the level to get to the end. Uirdz has an original spin (you drag words from around the screen onto the level to create platforms and continue forward) that make it one of the best experimental fourth-wall breaking platformers I’ve ever played. That may not sound like much of a compliment but if you’re a regular Free Game Friday reader you know that these games are getting to be a bit of a genre unto themselves. Don’t believe me? Here’s another one. In Fractured the platforming itself is fairly simple; it’s your view of things that gets more and more complex. Each level splits your view of the level into tinier and tinier parts and then starts spinning them around like puzzle pieces. Eventually you’re jumping between platforms at right angles on opposite sides of your screen just to get five feet. It's fantastic.